Keith Cargill is founder, President and Chief Executive Officer of Texas Capital Bank and its parent company, Texas Capital Bancshares, Inc. (NASDAQ®:TCBI). 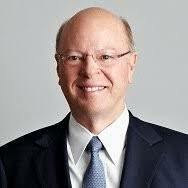 He also serves as a member of the company's board of directors. With deep roots in the banking industry and an unmatched passion for exceptional service, Cargill has helped build one of the finest business and private wealth banks in the United States. Under Cargill's leadership, Texas Capital Bank focuses on partnering with top talent, fueling economic growth and supporting communities - a unique style of doing business coined Texas Capitalism® that expands beyond the walls of the bank. Texas Capital Bank was founded in 1998 and has grown to total assets of $27 billion. Tickets are $40 for Regular HBSCD members; $50 for spouses, guests and non-HBSCD members; and $0 for Gold and Platinum HBSCD sponsor members. For more information, please click here or access the HBS Club of Dallas website.